What our club is about is antique radio. We are a club which the members are in many different parts of antique radio. Some members specificly collect certain types of radios. Like me,I collect 1920s battery sets. Some members collect certain brand names of radios. Others collect tubes,transistor radios only,and even just books or magizines about radio. The hobby is very wide ranging indeed. 1933 Sears Silvertone Tombstone Radio. 1921 Colin B Kennedy radio receivers. Model 110/525 on top and model 281/521 on the bottom. 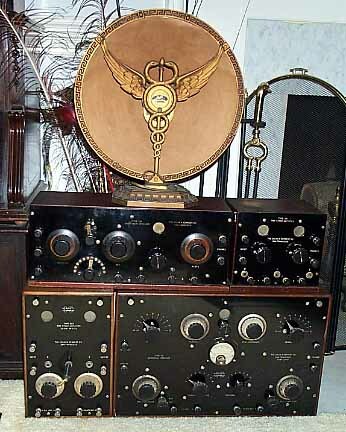 The cone speaker sitting on the top of the radios is a Pathe and this speaker is a collectors item in its own right! 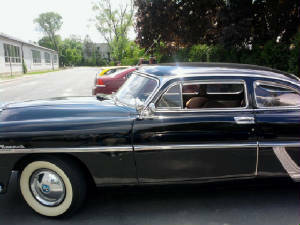 The Schenectady Antique Radio Club was brought about by men who worked for the General Electric Company in Schenectady New York. General Electric did play a vital role in key areas of radio. Jack Nelson worked for GE and also was a long time amateur radio operator and others got together and formed the club to promote this areas history in radio along with collecting and restoring all types of vintage radios. Jack made several articles in the old General Electric Works News to promote the club and people became aware of the club and the club grew. The club presented live demonstrations of the old radios around the capitol district. This got the club more into the public eye. The club also helped in historical projects around the area over the years. One example was restoring a crystal set for the Waterford Historical Society in Waterford N.Y that was made by a company in Waterford back in the 1920s. Other early events by the club were demonstrations done in area nursing homes for the seniors to enjoy. The club made its home at The Schenectady Museum and Planetarium in Schenectady N.Y for years. We now have moved to Albany NY for our meetings. Maybe again we will be back in Schenectady again. We still have strong ties with the Scenectady Ameture Radio Club which is still housed in the museum. Here are the present list of our club officers. 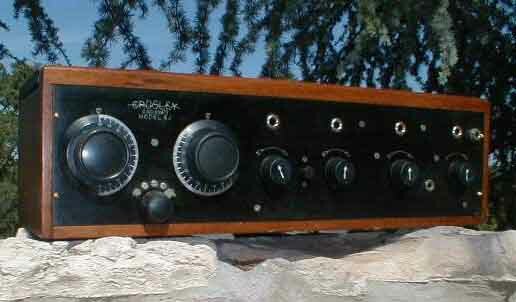 1941 Truetone table radio sold by Western Auto Stores. 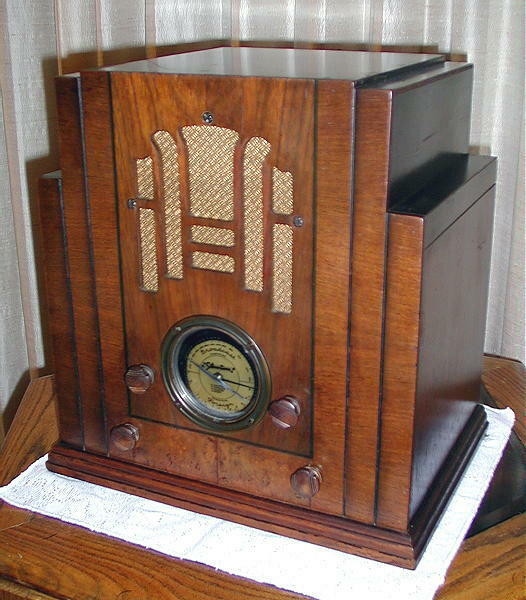 1923 Crosley XJ regenitive set with 1 stage of rf. Crosleys first set with an rf stage.